From exquisite 17th century drawings of fossils to unique historic geological sketches and letters from the frontline in World War 1, the Sedgwick Museum Archives contains over 1500 boxes of irreplaceable records. The archive includes the papers charting the history and development of the Museum, as well as the famous Sedgwick Club, started in 1880 in memory of Adam Sedgwick (1854-1875), after whom the Museum is named. 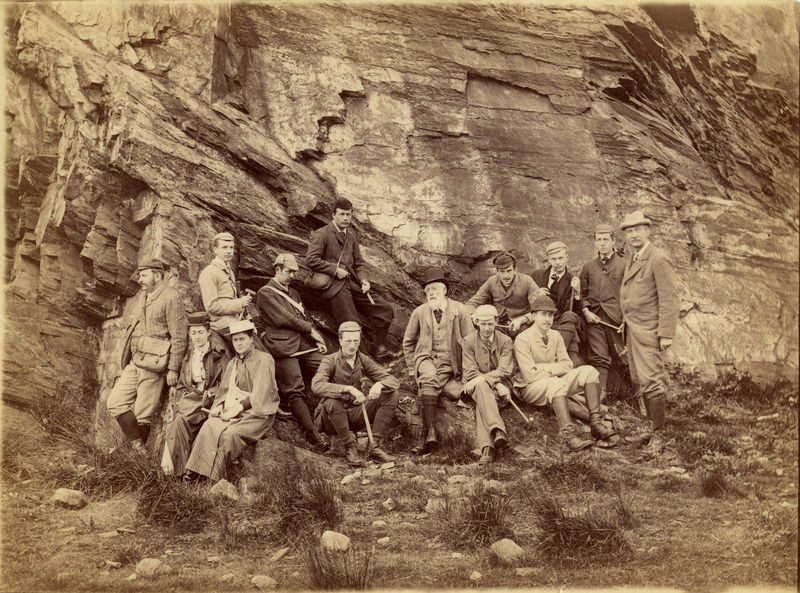 The Archive also includes the many field notebooks, sketchbooks and specimen catalogues of Adam Sedgwick himself, as well as other geologists, palaeontologists and mineralogists with an association to the Museum’s collections or to the Department of Earth Sciences, University of Cambridge. How are the Archives being processed? Sandra Freshney, a professional Archivist, has been employed as a permanent member of staff since May 2014 thanks to the benevolence of former Museum Curator and volunteer Dr Colins Forbes (1922-2014). Building on her earlier temporary employment, generously funded by Museums, Libraries and Archives Council (MLA) and Trinity College's Isaac Newton Trust, Sandra has been able to determine the scope of the archival collections, begin cataloguing parts of the collections, answer enquiries and invigilate researchers, and design and install exhibitions and displays. 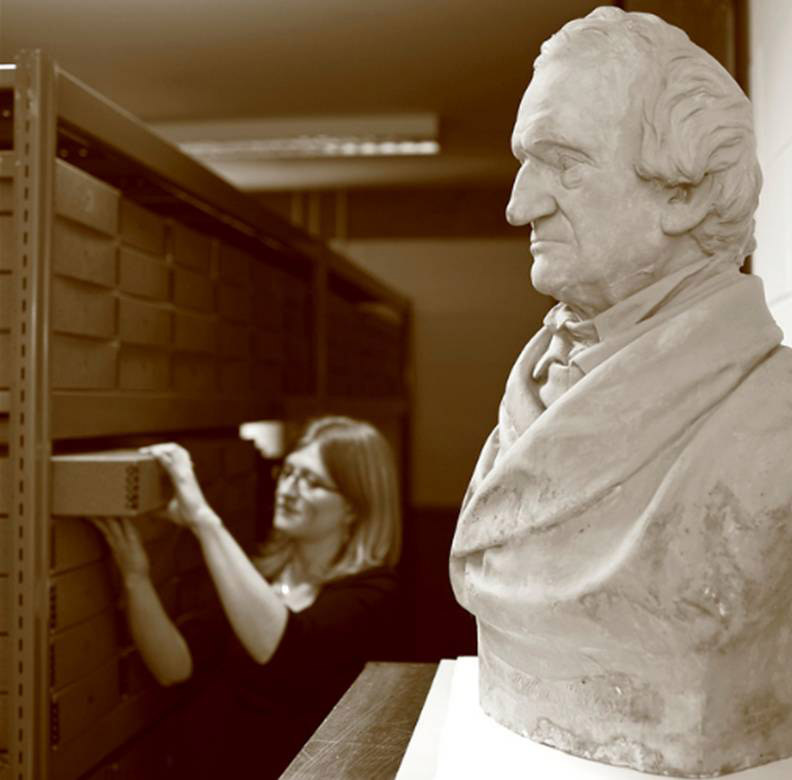 The Archivist, with the assistance of Dr Lyall Anderson and volunteers re-boxed the archive and undertook simple listing of records in 2010-2011. This ensured that the records were easier to access and safer to use for research. The Friends of the Sedgwick Museum generously donated funds to enable the Museum to employ Dr Lyall Anderson to look in more detail at the notebooks of Alfred Harker in 2012. Alfred Harker (1859-1939) was a world-famous petrologist, although very little was known about him other than through his published work. Lyall completed the project in 2012, and the catalogue is now on the Archives Hub. In 2014 research was undertaken at the Sedgwick Museum with an Arts Council England (ACE) grant to look at the ways in which members of the Sedgwick Club contributed to the First World War. An exhibition opened in the Museum in February 2015. 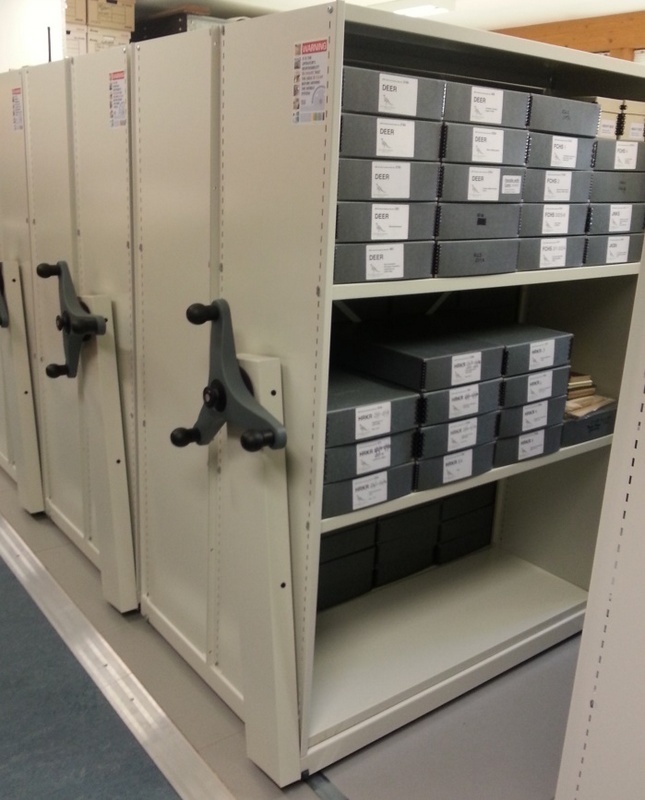 In October 2014, with support from the Isaac Newton Trust, 'mobile' racking was installed. This doubled the capacity of the current Archive Store.